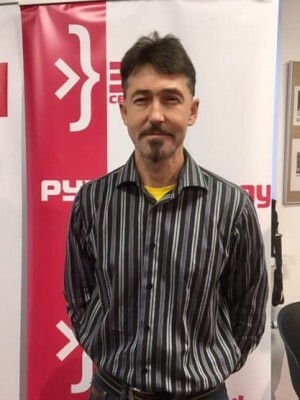 Chairman of the Movement For Freedom (MFF) Yuri Hubarevich thinks that a balance should be maintained when developing the formula of bilateral cooperation between Belarus and Ukraine. The politician said this at a conference in Kyiv. 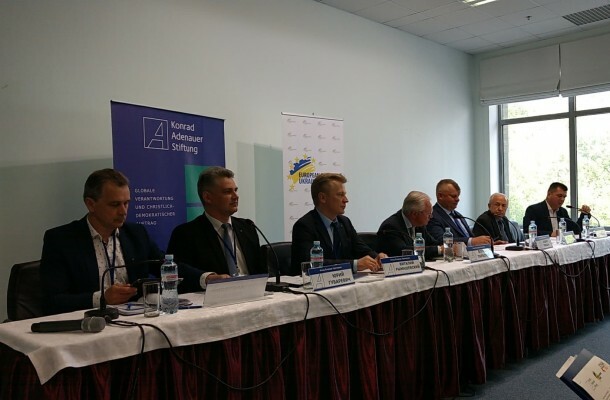 The international conference titled ‘Ukraine and Belarus: From Challenges to Common Breakthroughs’, which took place between May 3 and May 6 in Kyiv, was discussing what should be the relationship between the two countries, which have chosen different unions — the European Union and NATO for Ukraine, and Russia for Belarus. 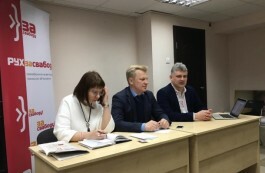 The conference was attended by Co-Chairman of the Belarusian Christian Democracy (BCD) party Vital Rimasheuski, Chairman of the Movement For Freedom (MFF) Yuri Hubarevich, and Chairman of the United Civil Party (UCP) Anatol Liabedzka. Ukraine was represented by People’s Deputy Borys Tarasyuk, leader of the European Movement of Ukraine Vadym Truhan, as well as the representatives of various NGOs and political experts. The meeting was attended by the head of a Department of the Ministry of Foreign Affairs Volodymyr Shkurov, while nobody was present from the Belarusian Foreign Ministry. What do the Belarusian opposition politicians want? The Belarusian politicians who come to Kyiv understand the situation, so they don’t criticize the Ukrainian government for cooperation with Belarus. 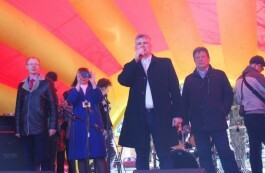 But they admitted frankly that their proposals will hardly have any impact on the Belarusian authorities now. Yuri Hubarevich, in fact, believes that cooperation between the governments, the public sector, and the opposition of the two countries developed the most effectively when Leonid Kuchma was the president. “This means that there is a possibility of cooperation not only when the president or the government are democratic. We need cooperation at the level of NGOs of completely different profiles, ranging from environmental to human rights organisations, as well as working at the regional level. This can include the experience of those reforms, which are now taking place in Ukraine albeit with certain problems. And it will be very helpful for our future elites, who will replace the current government sooner or later,” he is sure. 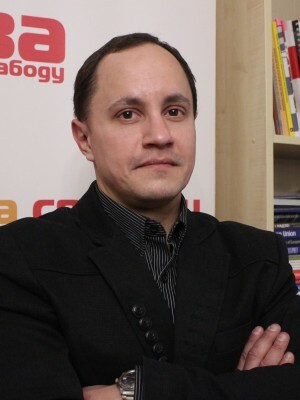 According to Vital Rimasheuski, the discussion should involve not only the opposition politicians, but also the authorities. "There are things that we will be arguing about and there will never be a consensus, such as free elections. There are, however, common issues, such as the development of trade relations, cultural relations, and strategies, which could attract Europe’s attention. And Ukraine could try to become a leader among the countries participating in the EU’s project titled ‘The Eastern Partnership’. What do Ukrainian politicians offer? 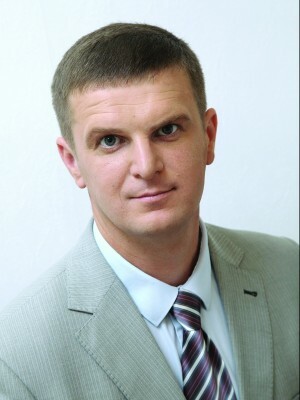 People’s Deputy Borys Tarasyuk (who worked twice as Minister of Foreign Affairs of Ukraine in 1998-2000 and in 2005-2007) believes that relations with Belarus should be built taking into account not only common interests, but also the differences that exist both in domestic and foreign policy. “Ukraine wants to become a member of the united democratic Europe, joining the European Union and NATO. Belarus has no such goals. Moreover, Belarus is bound by allied relations with the state, which wages war against us — Russia. Also, we have different forms of political rule. This has quite a serious effect on the internal political processes in our countries. Our societies have different political dynamics and, I would say, political culture. 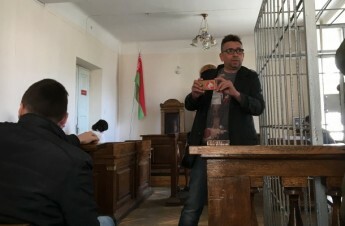 Not a single political protest in Belarus ended with success of the democratic forces; the regime suppresses the protests every time,” stated Tarasyuk. Tarasyuk proposed that a deputy group for the relations with Ukraine be created in the Belarusian parliament by analogy with the Ukrainian parliament, which has a group for the relations with Belarus headed by the deputy of the People’s Front fraction Oleksandr Kadola. “There is no such group in the National Assembly of Belarus. This is a sign of a lack of normal inter-parliamentary relations. We would like to see such a group in the National Assembly, as well,” said the People’s Deputy of Ukraine, which aroused the indignation of the UCP Chairman Anatol Liabedzka [who reminded the audience that the Belarusian parliament is illegitimate]. Belarus and Ukraine have a common border of more than a 1,000 kilometres. 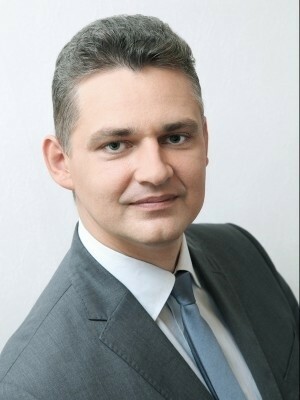 According to the Director of the Second European Department of the Ministry of Foreign Affairs of Ukraine Volodymyr Shkurov, this has both a great potential for cooperation and is a specific challenge, since this raises the issues of border security and prevention of military provocations. “Therefore, the assurances by the Belarusian president that the Ukrainian border will never be a border of war were very iconic in our relations. This is very important for Ukraine today. The Russian aggression undermines our resources, which is why the support of our other neighbours, including Belarus, is of such great importance to us. Despite the attempts of third countries, I mean Russia first of all, to embroil our peoples, we are doing everything possible to preserve mutual respect, intensify bilateral co-operation, increase trade turnover, and strengthen social contacts between people. Basically, we are doing all that successfully, although there are some problems. We all know that Russia has a significant influence on Belarus, both at the bilateral level in the framework of the Union State and in the context of such structures as the CIS and the Eurasian Economic Community,” said the representative of the Ukrainian Foreign Ministry. Volodymyr Shkurov noted that recent contacts between the presidents of Belarus and Ukraine allowed restarting the relationships and identifying the steps of collaboration. The Foreign Ministry representative has separately focused on the issue that arose with the beginning of Ukrainian TV channel’s broadcasting in Belarus, as was agreed by Aliaksandr Lukashenka and Petro Poroshenko. “I regret to say it, but the issue is still not resolved. The Ukrainian side has done everything necessary so that Belarusians obtain information about our country first-hand. 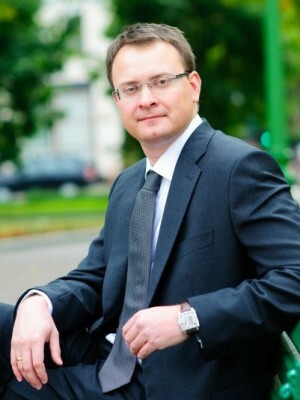 We are now waiting for the corresponding steps from our Belarusian partners,” said Volodymyr Shkurov.